When you think of the Beatles Florida generally doesn’t come into your mind does it? Liverpool, yellow submarines, mop tops, screaming girls and music that changed the landscape of the world we live in forever most definitely. But surprisingly the sunshine state, and in particular the Florida Keys do actually have an amazing tale to tell, in regards to the fab fours secret and unscheduled trip to our shores. The Beatles Florida Keys adventure started and finished almost as suddenly as it occurred when on the 11th September 1964, the four young musicians, who were embarking on their first tour of America blew into town. The keyword to the sentence above was “Blew”, as at the very same time that John, Paul, George and of course Ringo were planning to play at Jacksonville’s Gator Bowl on the mainland of Florida, then another screaming lady made her presence noticed. Although the Liverpudlian lads were used to screaming and exuberance from the females of the world who followed their every move and made their presence noticed as often as possible, nothing could have prepared them for Dora….or otherwise known Hurricane Dora. Hurricane Dora may not mean much to you nowadays, but at the time it wasn’t just the Beatles Florida Tour that took noticed, but the record books too. As Dora was the very first tropical cyclone ever recorded to cross the sea and head landwards. Heading directly for Jacksonville, this member of the hurricanes of Florida killed 5 people and caused over $200,000,000 in damage to the Florida landscape. So although the town were massively disappointed that the Beatles Florida gig had to be cancelled, this was the least of their problems, and for several days many folk were without electricity. So What Happened to The Beatles Florida Trip Then? 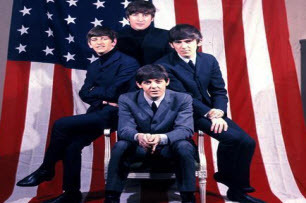 The decision was taken that instead of heading to Jacksonville, or further up into the United States of America, the private jet carrying the boys would go due south and deposit the Beatles Florida Keys style in paradise. 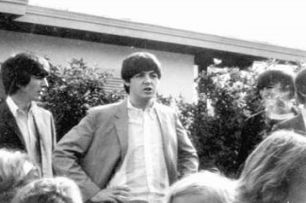 On the evening of 11th September 1964, the Beatles in American concert tour played a historic gig at the Key Wester Motel, which unfortunately no longer exists and was demolished back in 1999. However if you visit the location today you will find instead the Hyatt Windward Pointe, where an open air Tiki bar restaurant known as the Beatles Hut or the Abbey Road Snack Shack marks the spot where the boys rocked out. And they have restored the bungalow that the Beatles had resided in whilst in Key West to try to link back to the past. Although a great shame that the actual place is no longer there, similarly to the world famous cavern club in Liverpool that also amazingly and somewhat bizarrely was demolished, the event is firmly recorded in the record books. And what makes it even more a moment to record is instead of staying in their rooms, or chilling out, the Beatles decided to head down to the bar of the motel with their instruments and conduct an impromptu jam session. Oh yeah, they also did some drinking too. In fact they did a huge amount of drinking, and were extremely drunk by the end of the evening. Many months playing the hardened drinking clubs of Hamburg’s Reeperbahn, had toughened the already streetwise band from Liverpool, who now thought nothing of playing for eight hours or so night after night, whilst drinking in similar hardened fashion. Of course as you would expect, word got out that the most famous band in the world were playing live and for free in the Key Wester Motel, and upon hearing the news several local musicians finishing their own evenings work set out to join them. One of these was the New Orleans rhythm and blues singer Clarence 'Frogman' Henry, plus members of their tour support acts The Bill Black Combo and The Exciters. Also local musician Coffee Butler, who had just finished playing piano in a bar round the corner, headed across and started banging away rock and roll numbers on the ivories. Even though you would thought that having the Beatles Florida jam session live and free in your bar would be the thing that all bartenders and owners would die for, however that wasn’t quite the case. Come on guys, we are talking about the Beatles here!!!!! Cut them some slack and let them rock for the lord. When The Beatles Florida Keys Trip Finished…What Then? The next day, heavily hung over and exhausted from the previous nights antics, the sun had come out and the concerts were back in motion again. The four musicians left their Key West hangout and headed over to the airport to fly back to Jacksonville and the Gator Bowl, to continue the tour. They had been assured that the Hurricane had passed, but soon found as George Harrison reported on the Beatles Anthology, that this was far from the truth. Instead it was still anything but gone, and was still causing huge difficulties. So know you know a secret, to almost use one of the Beatles famous songs and you know the story of the one night in Beatles Florida Keys history. And if anyone ever says to you, do you know if the Beatles Florida trip in 1964 was a failure or success (I can’t imagine that anyone would ask this question but it ends this page quite well so just go with it), you can say that for a small part of Florida namely Key West, it wasn’t just a success it was history making.